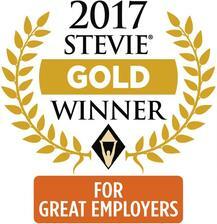 For the second year in a row, Verified First honored as "Talent Acquisition and Retention Solution Provider of the Year"
Verified First is the winner of a Gold Stevie® Award in the Talent Acquisition and Retention Solution Provider of the Year category in the second annual Stevie Awards for Great Employers. More than 500 nominations from organizations around the world were submitted this year for consideration in a wide range of HR-related categories, including Achievement in Workplace Safety & Compliance, Employer of the Year, and Employee Relations Solution Provider of the Year, among others. Verified First was nominated in the Talent Acquisition and Retention Solution Provider of the Year category and awarded the Gold for the second year in a row.